For a number of years, we had a favorite post to share with you – our most loved pins from Pinterest and posts from Instagram. It was always so interesting to us to see how you reacted to the details we shared. Plus, it was a way to make social media feel even more social because we could continue the conversation on our blog. Our Styled Social Media series is BACK! For all of the reasons we just mentioned, we have missed sharing these posts on our blog with you. So, we’re bring the series back. And, did we mention we’re pinning regularly again too? We’re releasing 4-5 new pins every day, and we don’t plan on stopping! Pinterest now feels more inspirational and helpful than ever before, so we’re thrilled to be pinning away once more on one of our favorite visual platforms. Join us! 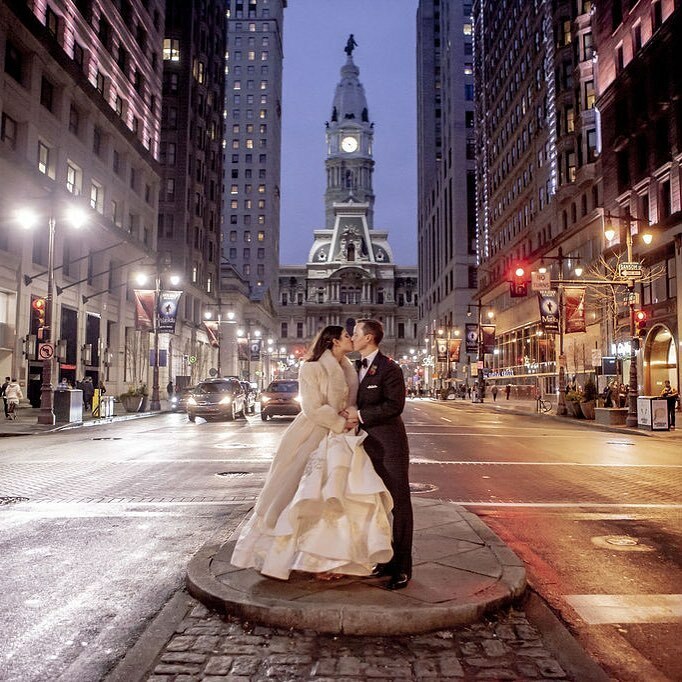 One of the most iconic photos to capture during your wedding day in Philadelphia is one in front of City Hall. Sarah DiCicco captured these two, and we’re convinced she stopped traffic to get the shot! Our view is classic and timeless weddings never go out of style. Though we’re happy to push the envelope creatively, we’re also drawn to details that will not feel dated in a few years. 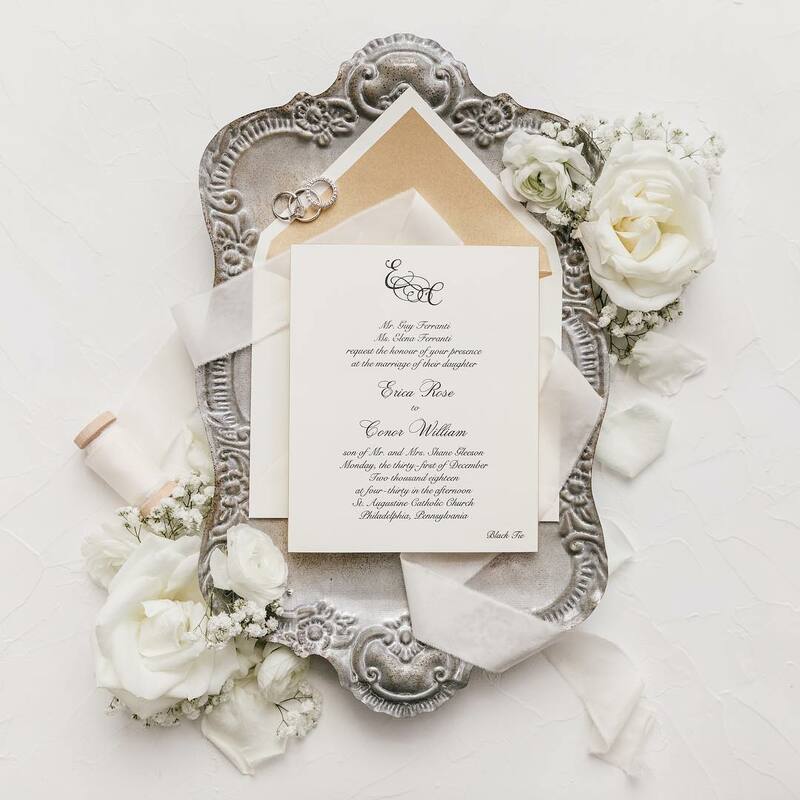 This ivory and black wedding invitation feels elegant and effortless, and we love seeing the couple’s two-letter monogram at the top! Philadelphia is known for its architecture, so we’re always careful to appreciate striking buildings and details when we see them. 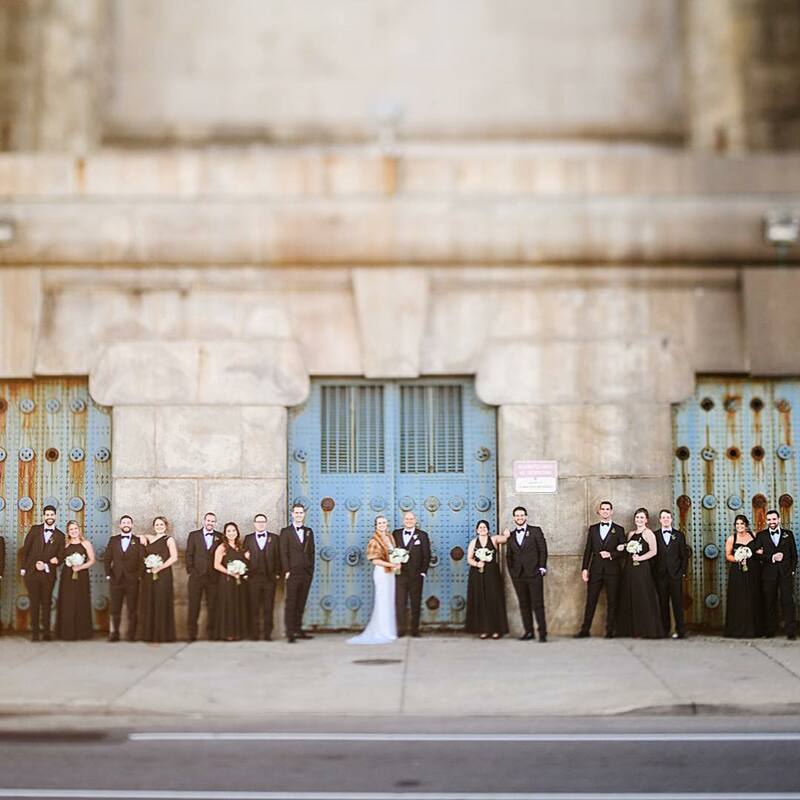 Vie is known for their look, and we’re drawn to how the teal doors and stone façade add plenty of texture to the backdrop of this city wedding day! Terrain’s new venue Terrain at Devon Yards is incredible, and Lauren and Sam’s wedding day was one of our favorites of all time! 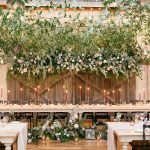 The barn was transformed with plenty of greenery and florals for this winter wedding day where the couple recited their vows in front of the barn door. Post ceremony, the team flipped the room for the reception and made sure to place the flowers that lined the aisle next to each of the tables to continue to feature them. We will dream of this look often! 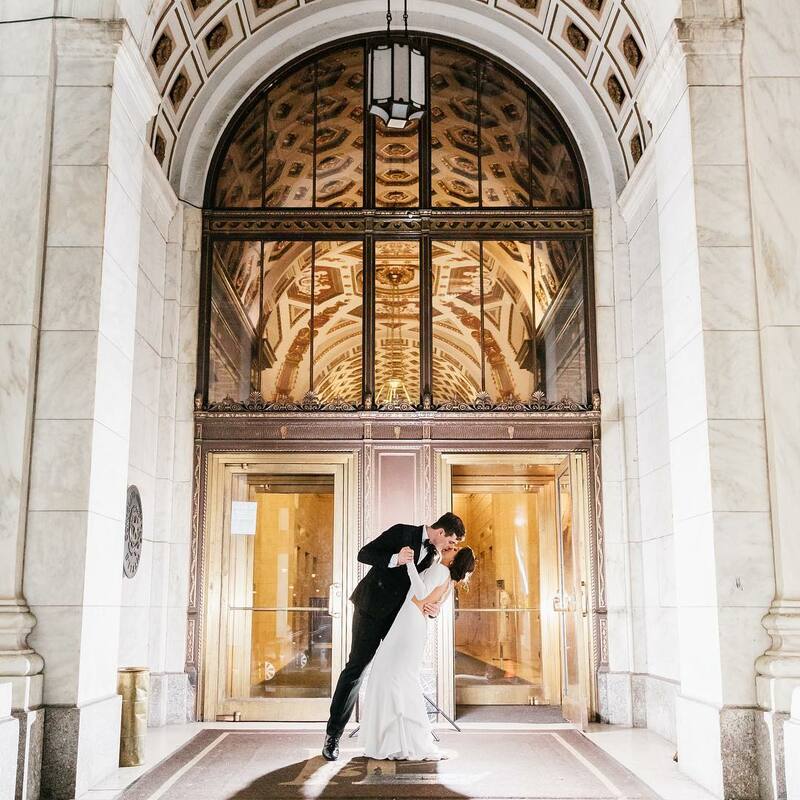 This capture by Emily Wren Photography from the couple’s wedding day at The Downtown Club was one of the coolest we have ever shared. 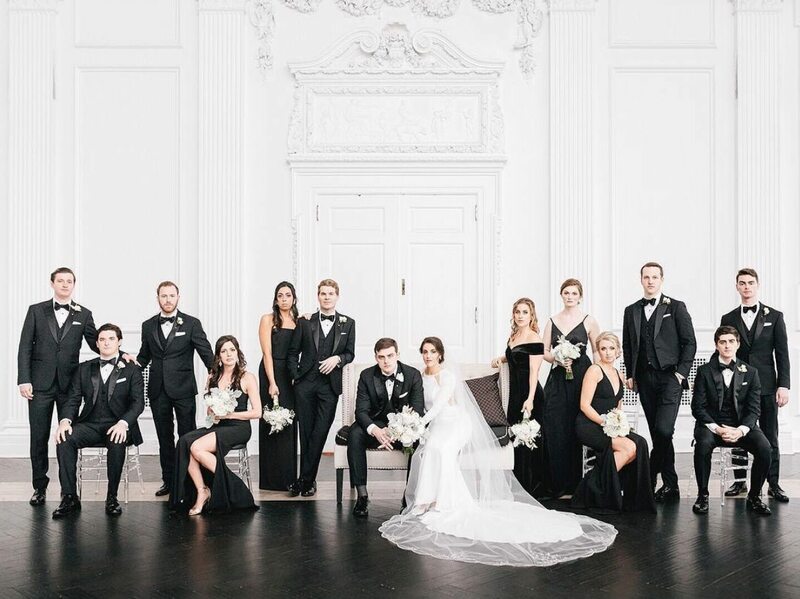 They wanted to create the look of a Vanity Fair cover with their wedding party, and everyone was excited to give the photo a try! The result is fantastic and serves as a perfect look into their elegant and on trend day. 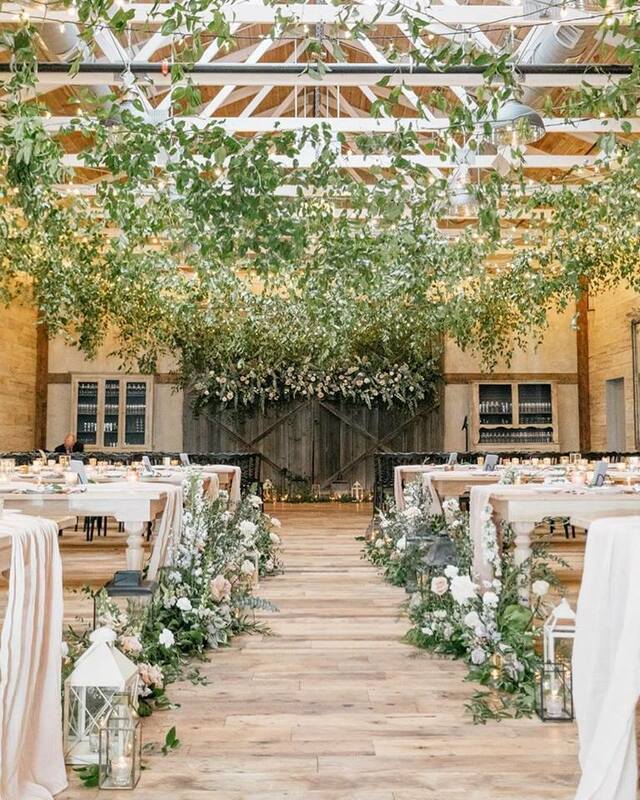 We just released our updated list of go-to wedding venues in Philadelphia, Bucks County, New Jersey, Delaware, and beyond, and it’s clear it’s already a hit! This photo of Ash Mill Farm from the post has already reached the top 5 of our most pinned list. Have you taken a peek? 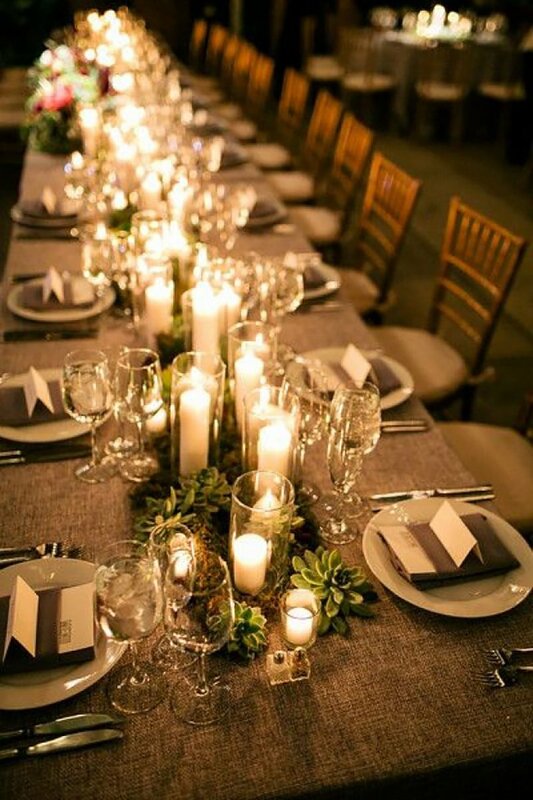 As much as we adore flowers, there are few details that set a more soft and romantic scene than candles. 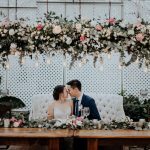 Amanda and Ben loved the idea of lining their tables with greenery and plenty of candles for their reception at the Horticulture Center, and the look is still one of our most pinned nearly four years later. 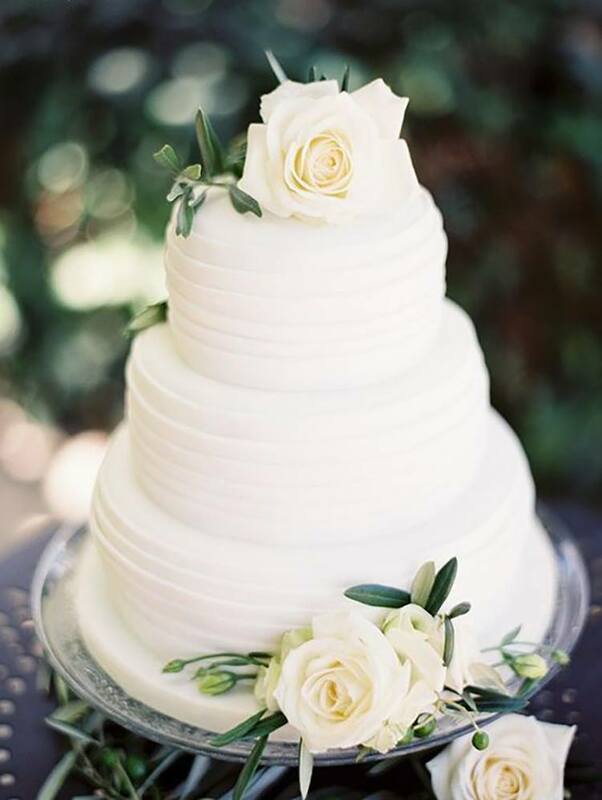 You can never go wrong with a classic white wedding cake! Timeless details are definitely trending (and for great reason! ), so we truly enjoy seeing your reactions to details that won’t go out of style. A white wedding cake is perfect for any and every wedding, and flowers always make the look more beautiful. 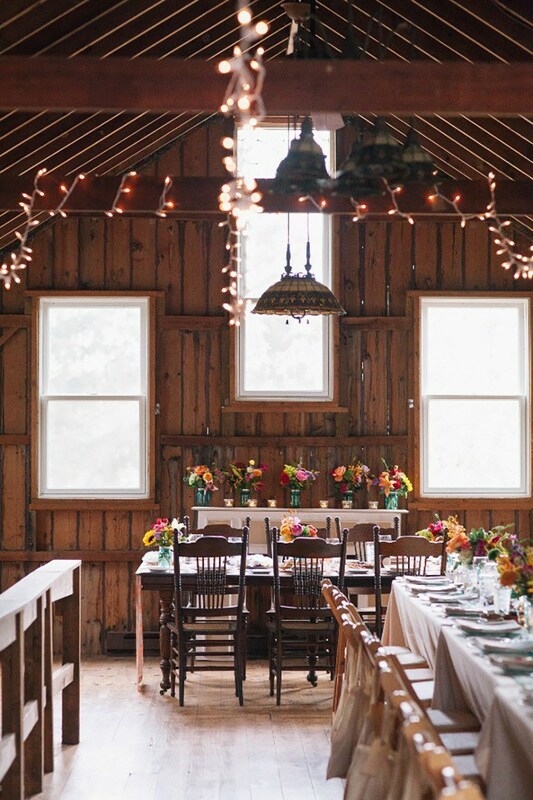 Photo via Brit + Co.
Like us, we think you’re counting down the days until summer wedding season! 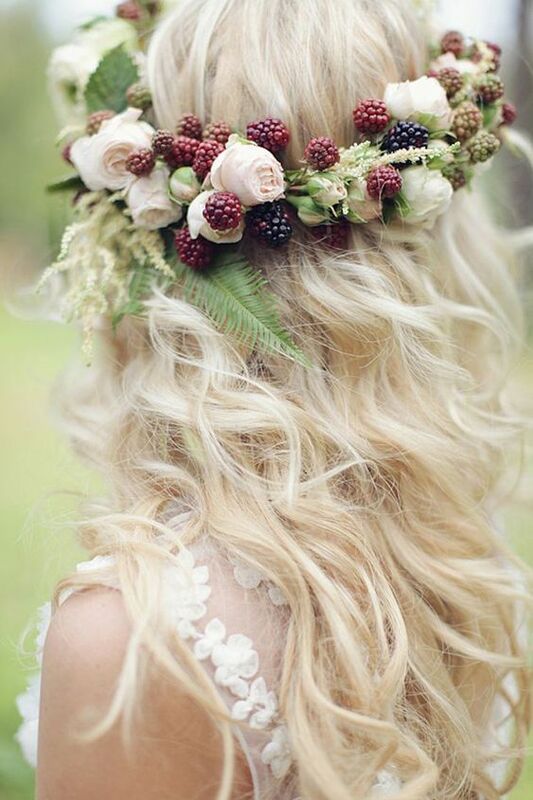 So, we can’t say we’re completely surprised to see this fruit and floral crown at the top of our Pinterest list. The look is perfect for brides currently planning a rustic, bohemian, or garden inspired wedding. Flower crowns always look great on bridesmaids too! 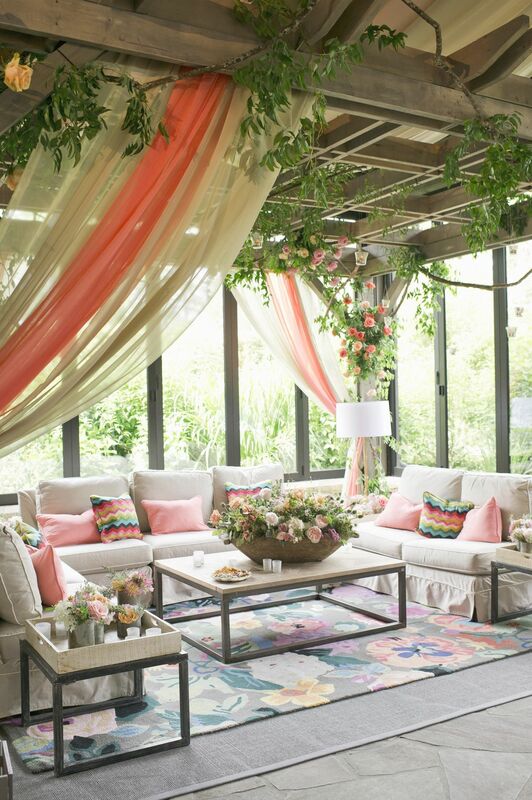 If your budget allows, we always recommend incorporating a wedding lounge into your design. Lounges serve as a perfect place for guests to mingle during cocktail hour, and they’re also frequented during receptions when guests want to spend a few moments reenergizing before they go back out onto the dance floor. Lounges add color, style, and texture. There are so many benefits! Make sure to follow us on Instagram and Pinterest! We’ll be back soon with another roundup. The Styled Bride Blog is our way to keep you updated on what’s happening around our studio as well as a place for us to share recent work and inspiration. We hope this is a place for you to get inspired, educated and just have fun!